This resource is written to follow the updated Cambridge IGCSE® Computer Science syllabus 0478 with examination from June and November 2016. 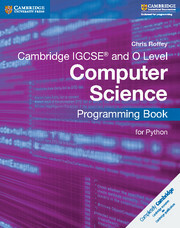 This Teacher's Resource CD-ROM goes alongside the Cambridge IGCSE® Computer Science Coursebook and provides support for teachers teaching the Cambridge IGCSE® and O-Level Computer Science syllabuses (0478 and 2210). 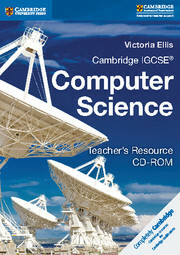 It contains lesson notes, additional worksheets and homework ideas. 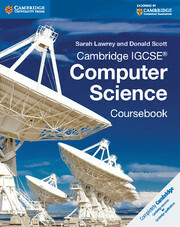 Individual lesson notes integrated with Cambridge IGCSE Computer Science assist teachers with lesson planning. Additional worksheets to help students of all abilities. Suggestions for homework ideas to help teachers maintain student interest.